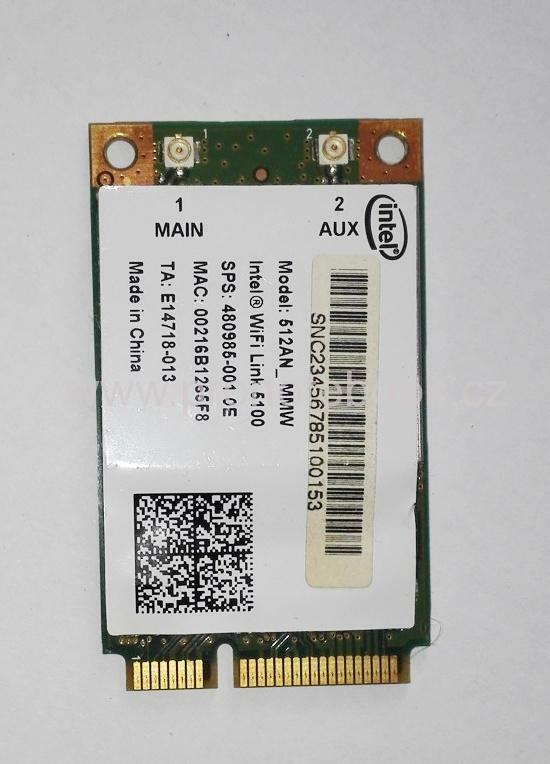 Intel 5100 WIFI 512AN_MMW 802.11 AGN 300Mbps Mini PCI-E laptop Wireless Card. 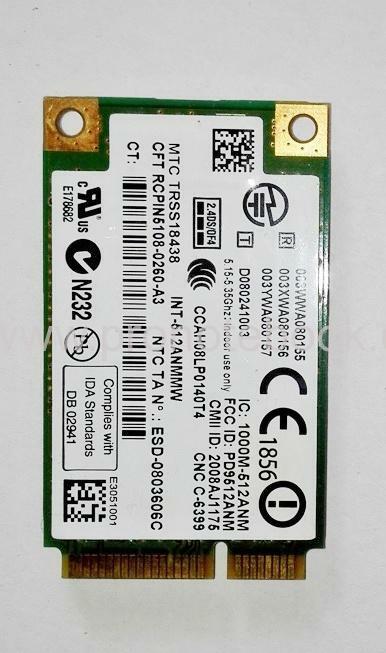 Description: The Intel WiFi Link 5100 Series is a family of IEEE 802.11a/b/g/Draft-N1 wireless network adapters that operate in both the 2.4 GHz and 5.0 GHz spectra. These adapters, available in both PCIe Mini Card and Half Mini Card form factor deliver up to 300 Mbps2 of receivebandwidth; in addition to providing a host of features that enhance today?s mobile lifestyle. Features: Over 5x bandwidth increase2 compared to existing 802.11a/b/g solutions Up to 2x greater range2 IEEE 802.11a/b/g and Draft-N1 compliant WiFi Personal Area Network capabilities Industry-leading power consumption3 Wireless support for Intel Active Management Technology Advanced security via 802.11i Easy-to-use Intel PROSet v12.0 WLAN Software4 Support for Cisco Compatible Extensions* v4 Performance-optimized with Connect with Intel Centrino processor technology certified Access Points Package.